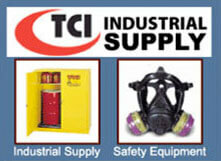 Thread Check, Inc. offer express manufacturing and delivery on many items at a premium charge. Call for price and delivery as our expedite service is determined by the type and size of the custom gages, fixed limit gages, snap gages, metric thread gages, chrome plug gages, gear measuring wires, thread measuring wires or any other product that is required. Thread Check, Inc. does specials! 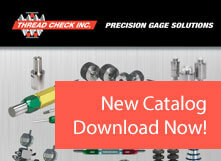 If you do not see an item in our catalog or require a special modification to an existing item such as custom thread plug gages, contact our sales engineering staff for assistance. Our engineers will work with your staff to assist in designing and manufacturing special custom gages from concept to completion. All calibration services are performed by our ISO 17025 Registered Metrology facility. Standard turnaround for calibration of in service snap gages, fixed limit gages, chrome plug gages, metric thread gages, and other used gages is approximately 2-3 days not including shipping time. Calibration includes disassembly, cleaning, and minor adjustments. Thread Check's sales and engineering staff is pleased to assist you with your gaging and measurement questions. Please contact us for assistance with questions on thread dimensional data, gage tolerances, gage usage. You may reach us via email, fax or phone. In addition to the thousands of high quality products referenced in this catalog, Thread Check has the capability and resources to sell and support quality products from thousands of leading manufacturing companies. We stand behind every product we sell from thread plug gages to thread measuring wires and beyond. Our sales and engineering team is pleased to assist you will all your standard and special requirements. Your Comments and suggestions are always welcomed as they help us to become a better company.